More Triggers, Stocks and Barrels Available Again! The latest delivery of parts from the Shanghai Airgun Factory to Archer Airguns allows us to make available again a number of our popular parts kits that have been out of stock for some time. 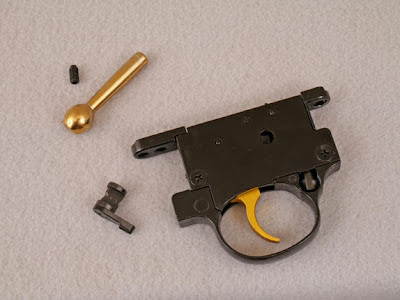 Among the kits returning are the QB78 Deluxe Trigger and Bolt Handle Kit - this has the gold effect trigger blade and bolt handle, as pictured above. Also available again is the AR2078A "target" stock kit. This fits all QB78 models and is a very popular upgrade for the basic QB78 and QB78 Deluxe. Again, we have a limited number of Special Select stocks available. These show figuring in the wood and are very attractive at the small premium asked over the standard grade stocks. For Beeman Model 1073 air rifle owners (AKA the Beeman Grizzly X2, Beeman RS2 and "Walmart Beeman"), the .22 caliber barrels for Beeman Sportsman Series are back in stock. Another parts kit returning is the Stock Screw Cap Kit for Beeman Sportsman Series. Lots of people obviously loose those little plastic screw covers from the front of the stock, so we have them back again. 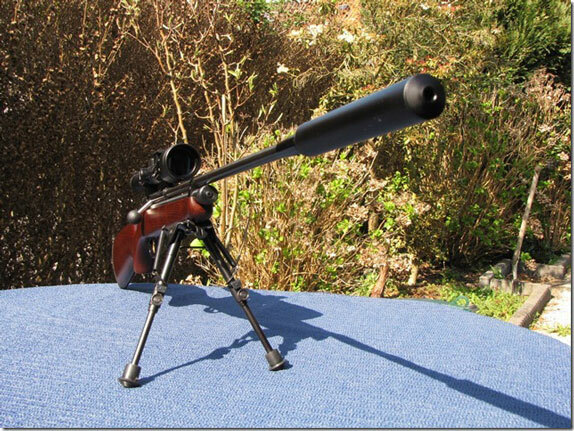 Steve Groenewegen, one of our Dutch customers, kindly sent some photographs of his upgraded QB78 air rifle. As you can see, Steve's air rifle looks very good! He's fitted it with a Walther 6 x 42 scope and an NcStar bipod, which is mounted onto the forend of the stock. The silencer is from a Weirauch HW100 that is mounted on the barrel with an adapter. Note that - unlike the US - most European countries encourage the use of silencers on air rifles, so this fitting is legal on Steve's gun in The Netherlands. 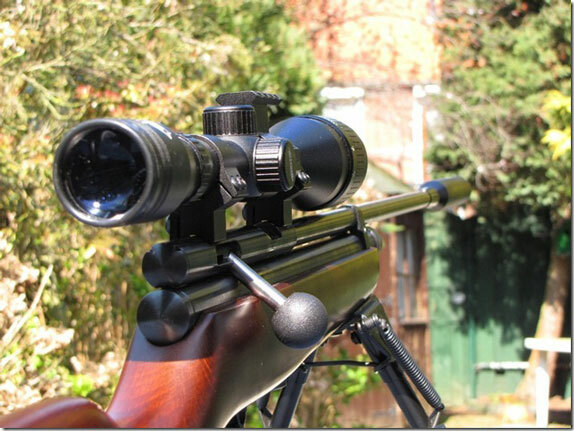 Steve also has fitted an Archer Airguns Oversize Bolt Handle to his airgun and an Archer Airguns XP Tune Kit. He also supplied test data showing that this rig achieves a muzzle velocity of 616fps at only 54 degrees F with 11.9 Grain RWS Sportline pellets. That's about 9.27 ft/lbs. 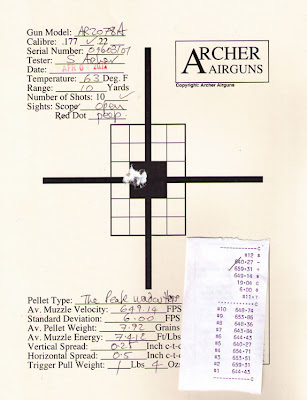 As the muzzle velocity of QB78-type air rifles increases with temperature at about 2 fps per degree F, that means that Steve's gun would be shooting at about 656fps at 74 degrees F.
Here's a test target from today's Gold Service testing. It shows the results we obtained from a new Industry Brand AR2078A air rifle that was shipped to a customer this afternoon. The 10-shot group is reasonably typical of what we achieve with unselected (and cheap!) The Peak wadcutter pellets. I could have called the furthest left shot a flyer as I knew at the time I'd "pulled" the shot a little, but as it was still in the main group, it was counted. Most customers will shoot better than me! The trigger pull weight is about average for an AR2078A and the standard deviation of 6fps is very close to the normal average of 5 fps that we find with QB78-type air rifles. The main difference from normal was the muzzle velocity. Before starting the test, I found that this gun was shooting somewhat slow - about 580 fps at 63 degrees F - so I swapped the breech seal for an Archer Airguns high flow replacement. The result was that the muzzle velocity jumped to an average of 649 fps at 63 degrees F, as you can see. 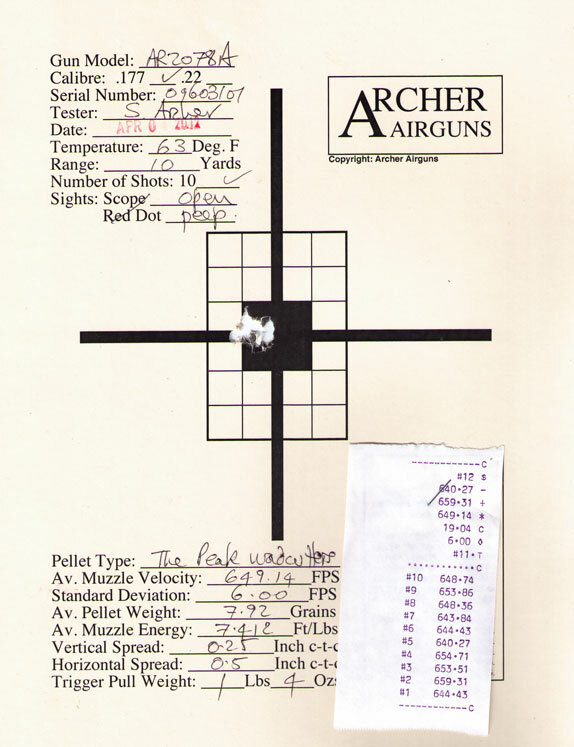 Swapping the breech seal is a normal part of what Archer Airguns does for a Gold Service test on a QB78 family air rifle if the muzzle velocity of the gun being tested is significantly adrift from the manufacturer's specifications - in this case, 600fps at 65 degrees F for these guns in .177 caliber. As the muzzle velocity of all CO2 guns varies with temperature, we always quote the temperature in any figures published by Archer Airguns. That 650fps at 63 degrees F is going to equal a muzzle velocity of around 690fps at 85 degrees F with the same gun and same pellets. Beware any muzzle velocities quoted for QB78-type air rifles that don't indicate the pellet and temperature also! 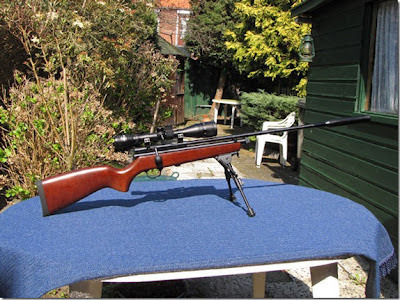 Easter offer: Stoeger X50s fitted with FREE GTXaa trigger. Special Easter Offer! 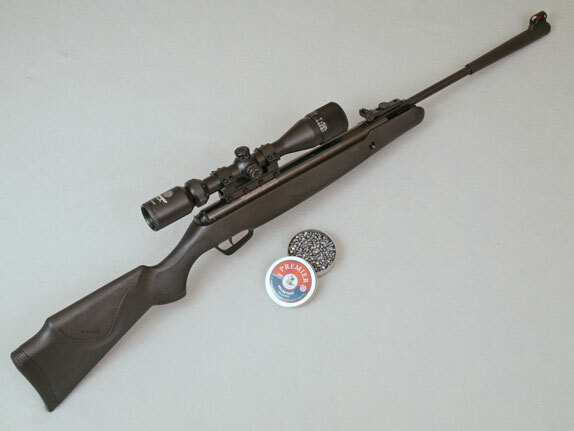 Until 15 April 2012, all Stoeger X50 air rifles ordered from Archer Airguns will be fitted with a GTXaa trigger upgrade - a further saving of $42.98! We have the X50 in stock in both .177 and .22 calibers with the black synthetic stocks. Price is $279.00, including the free, installed GTXaa trigger and free shipping. This X50 page in our store is here. Also in stock is the X50 with Realtree camo synthetic stock in .177 caliber. Price is $319.00, including the free, installed GTXaa trigger and free shipping. Here's the product page in our store. 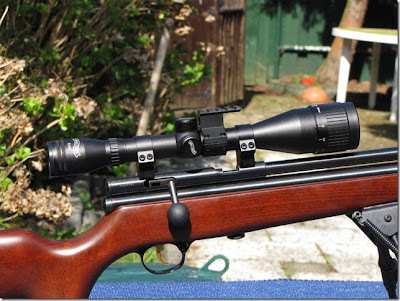 The GTXaa provides a huge improvement compared to the standard factory trigger and transforms these fine air rifles. Everyone wants the GTX trigger upgrade - with this offer, you can get it for free! Our photograph shows an X50 with black synthetic stock. Please note that pellets are not included with this offer and are shown in the photograph for size comparison only.